The Panel gets connected from motherboard directly. 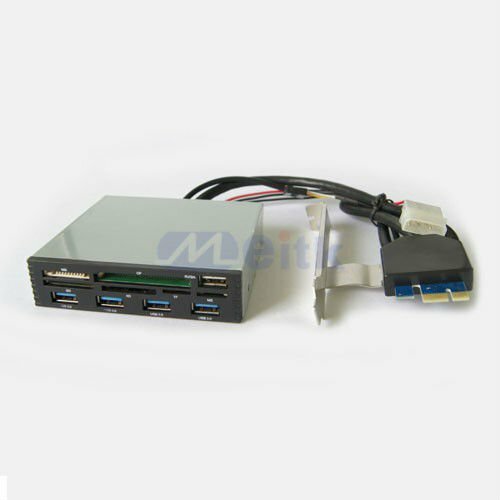 4 USB 3.0 ports, CF XD SD TF MS M2 Card Reader Port for Desktop PC. 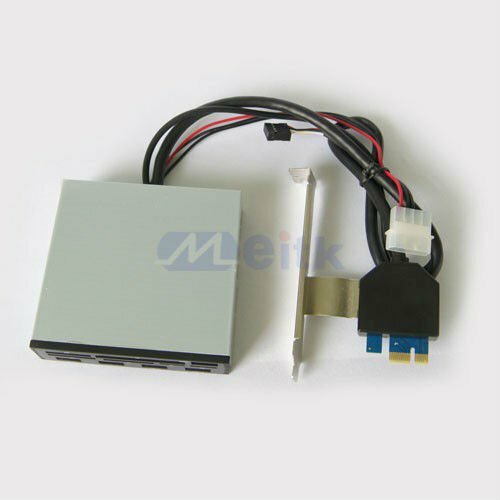 All-in-1 card reader can read T-Flash card directly, and can use card adapter sleeve to support. 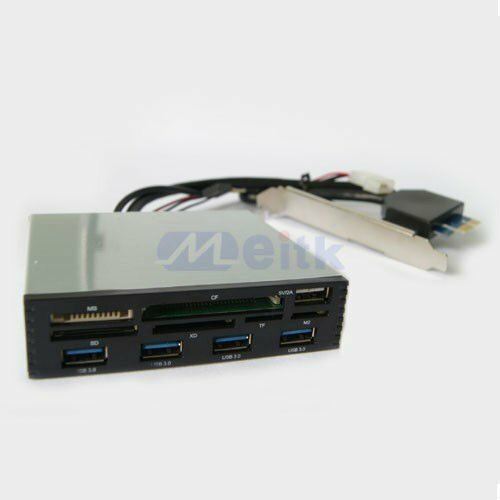 Backward compatible with USB 2.0/USB 1.1-equipped computers and devices. 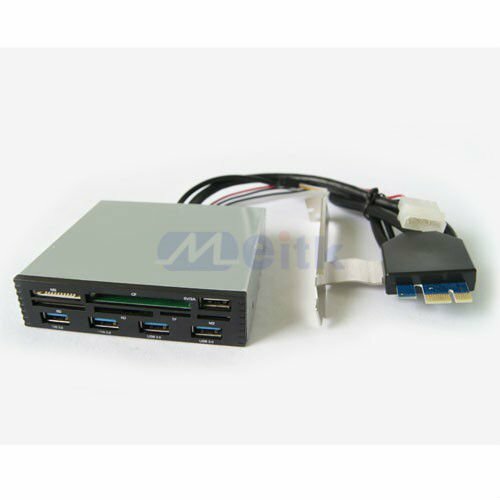 Supports hot-plug and plug & play functions. Can be a standalone hub. No drivers need for Windows XP, Vista, 7, Mac OS 10.X and Linux.